Not all football happens on a pitch. The streets are the most popular place for football for the majority of us, and to celebrate this, Nike have released a new colourway for their OG LunarGato II. Growing up a football fan meant you tried to squeeze in a game wherever you were. Whether that meant ruining your new school shoes in the playground, playing keep ups in the car park or kicking a ball against your neighbour’s garage until they finally lost it and chased you down the street with a draft excluder; when football is in your blood you don’t need to find grass to find a game. Nike’s LunarGato II was first released in 2013 and quickly became one of the most popular street soccer kicks on the market. So popular, in fact, that Portuguese futsal legend Ricardinho wore them for most of his career’s biggest moments. 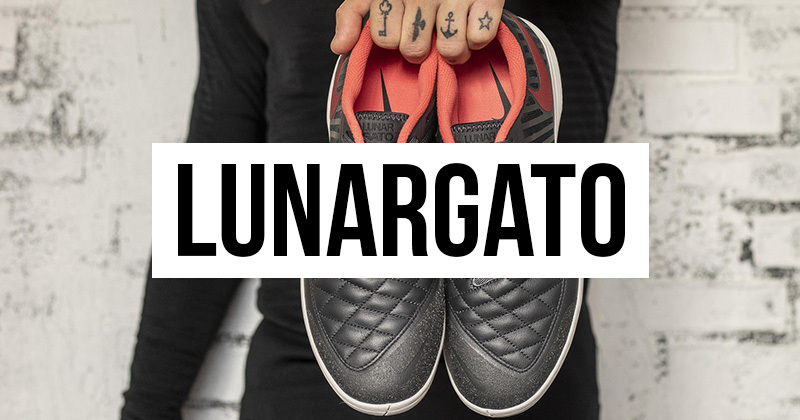 Now the LunarGato II is back in an anthracite, ember glow and platinum tilt colourway (dark grey and red essentially) for 2019 and the next generation of off-the-pitch ballers. The new shoes are predominantly dark grey and utilise red accents on the inner, the collar lining as well as the outsole swoosh logo which is off-centred towards the back of the boot. The sole is white from heel to centre changing to a translucent look towards the front. In the five-year gap between releases, little has changed in the way of tech. 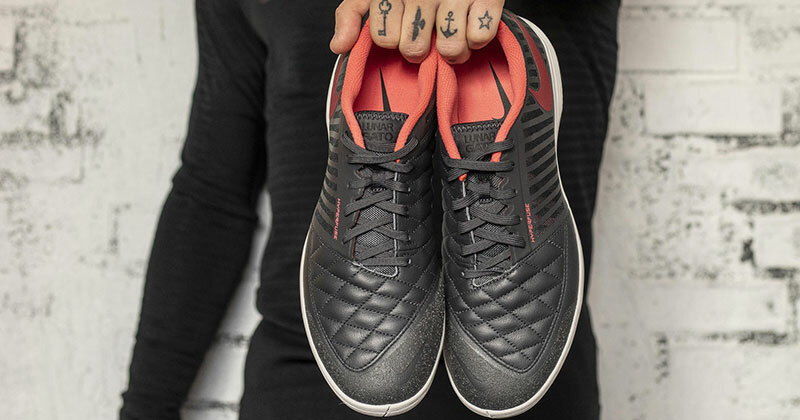 They still feature the Lunarlon midsole as well as the super-soft goat leather upper for the front to give that extra dexterity and grip necessary for the quick skills of the futsal game. The outsole is articulated to keep up with the demands of multi directional traction on indoor, outdoor, wood, concrete, court; whatever the hell type of surface you want to play on essentially, these indoor football boots can do it all.